What does Dallas SR22 insurance cover? What is Texas Non Owner Insurance? 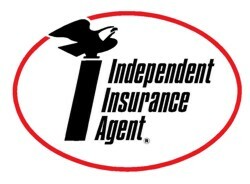 What does Texas Non Owner Insurance Cover? What is Texas Broad Form Auto Insurance? What Does the TX Broad Form Auto Insurance Cover? Where can I Buy a Dallas SR22 Insurance? What is Dallas SR22 Insurance? Dallas SR22 insurance is a traditional Texas auto insurance policy with an SR22 endorsement. What this means, is that a person requiring a SR22 filing in Dallas, must purchase an auto insurance policy with the Texas state legal liability limits. This policy can be either be an auto owners SR-22 insurance policy or a non-owner (do not own a car) SR-22 insurance policy. This policy is issued with a TX SR22 financial responsibility certificate rider / endorsement. A Texas SR22 by itself is not an insurance policy. The SR22 is just proof for the state that you have the liability limits required. The insurance company that issues the policy electronically files the SR22 with the state of TX and electronically notifies the DMV in Dallas. Who Needs Texas SR22 Insurance? What does Texas SR22 Insurance for Auto Owner Cover? Texas SR22 insurance gives the policy holder the Texas state legal liability coverage, just like a traditional liability only auto policy. This type ofpolicy covers any damages caused to other vehicles by thepolicy holder in the event of an accident. A Texas SR22 can also be attached to a full coverage insurance policy, if additional insurance is purchased. What does Texas SR-22 Non Owner Insurance Cover? Texas SR-22 non owner insurance serves as a secondary liability insurance policy. It does not cover vehicles owned by the policy holder or any vehiclesowned by other people in the same household. Claims onnon owner insuranceare only filed when thename insured has gotten into an accident and the limits on the auto policy have been exceeded. What is Texas Broad Form Insurance? Texas Broad Form Named Operator insurance is a liability only policy for owned and non owned vehicles by the policy holder. Unlike most auto insurance coverage that is specific to a particular vehicle, Broad Form Named Operator is specific to an individual. What this means, is that any vehicle that the name insured owns automatically has the TX state legal liability limits. You can own one auto or four, the price remains the same. In addition, Dallas, TX Broad Form insurance also gives the name insured non owner liability insurance coverage. What Does Texas Broad Form Named Operator Insurance Cover? One reason TX Broad Form Operator only insurance is so reasonable, is because it is for liability coverage only for the name insured.Broad Form Named Operator Coverage meets the state of TX insurance requirement by covering bodily injury or property damage you cause to others while YOU, and ONLY YOU, are driving a car, whether you own the car or not. Understand that Broad Form Insurance gives no coverage to fix the car you own or a car you are borrowing in the event you are in an accident. This type of policy does not even offer the option of adding comprehensive and collision coverage.Texas Broad Form insurance is good for the single individual who lives alone and does not lend out his/her vehicles. If someone purchases a Broad Form policy and lets a friend drive his car and the person gets in an accident the claim will be denied and you and the driver will be liable. I Need Dallas SR-22 Insurance, But I Live In Another State? If the state of TX is requiring a Dallas SR22 filing and you currently live in another state you need a cross state lines filing.This type of SR-22 insurance filing originates in the state where the individual is currently living with an endorsement for an SR22 to be filed in a different state. Typically, a cross state lines filing is done with a non owner policy. Not all insurance companies are licensed to do this type of filing, but Wessell Insurance Services, llc is licensed to do this with several states. Call 1-866-663-7561 for a cross state lines filing. How Quickly Can I Get my Texas SR-22 Insurance Filing in Dallas? Wessell Insurance Services, llc can issue your SR22 filing the same day you purchase your policy. We provide you with the insurance policy, the Texas SR22 financial responsibility certificate and do an electronic filing of the SR22 with the state of TX.  Call 1-866-663-7561 To Get Your Texas SR22 Quote?